Over 20 years of Committed service…. 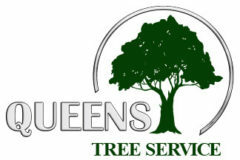 We are fully licensed, bonded, insured and have solution for every of your tree related problems. We have state of art equipment in order to get every job done, on time with no unnecessary expenses. We are avaiable 24/7 and offer 50$ off from every job that exceed 500$ or even more. So why bother to search more, we can get your job done in no time. Choose us, and leave your property in the capable hands of proven professionals.